The Center for the Arts in Natick (abbreviated TCAN, and pronounced TEE-can) debuted its new chamber music hall Thursday in the 1875 brick firehouse that had been converted into a place for music and theater. For many years, all performances took place in the 270-seat downstairs space which, having low ceiling and heavy drapes, did not offer the most favorable acoustics for chamber music. 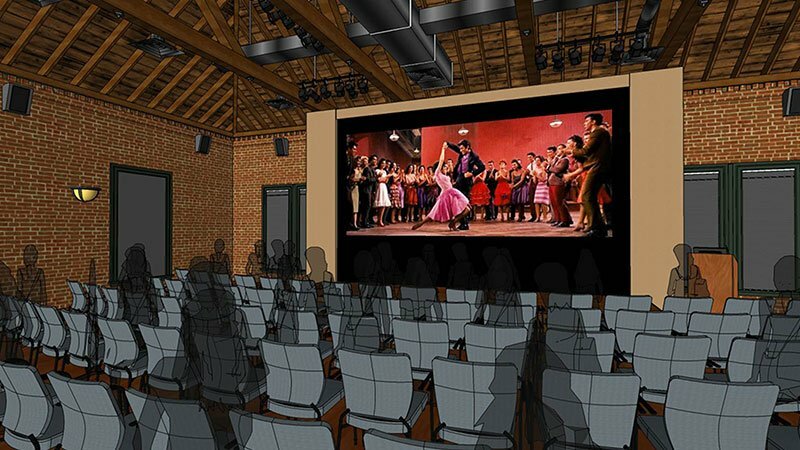 The newly completed 120-seat upstairs hall offers a bright sound thanks to the bare brick walls. Sight lines are excellent, and the elevated stage provides just the right lift for performers. At the back of the stage a great blue drape helps dampen unnecessary echoes and conceals a screen that will allow the showing of high-definition film broadcasts with new, state-of-the-art equipment. Given the early darkness in December and a non-functioning GPS, I had difficulty finding the facility in the center of Natick, just off Main Street, at 14 Summer Street. When I stopped several times at shops on the outskirts of downtown and asked for direction to the Center for Arts, I got several blank stares. But when I asked for TCAN, the recognition was immediate: “Oh, TCAN!” and directions followed. The institution was founded in 1997 and has presented its events in the converted fire station since 2004. In its 20-year existence, TCAN has hosted a classical chamber music series, small-scale operatic productions or scenes, and community theater. Among the concerts was a Young Masters series sponsored for years by Lauren Komack and her late husband Roy L. Komack, who were honored this night. 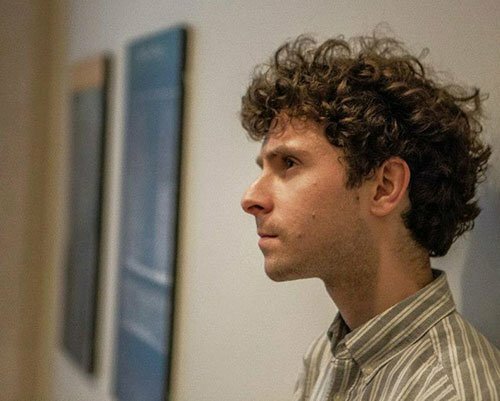 It was Lauren Komack who went to hear Matthew Aucoin when he was performing at the Peabody-Essex Museum in Salem and arranged for him to come to Natick. The gala focused on the remarkable composer, conductor, pianist, poet, and librettist, a Medfield native whose Civil War opera Crossing premiered at the American Repertory Theater last year, and who was the youngest musician ever named as assistant conductor at the Metropolitan Opera. Last year he became artist-in-residence at the Los Angeles Opera, where he has just completed a run as conductor of Philip Glass’s Akhenaten. He began by describing the evening as a sort of homecoming, since he had lived in Natick from age 3 to 11. He discussed a number of his works: for solo violin, strings, an excerpt of an Orpheus opera, and especially three songs from a cycle composed for tenor Paul Appleby of settings of the poet James Merrill. As a poet himself, Aucoin’s comments about choosing and setting words to music felt particularly apt, and the recording of a performance raised the hopes in this listener, at least, of hearing the entire set live. Finally Aucoin performed one of his works for piano and violin in what must be called a transcription for piano alone; it emphasized slow changes, repeated chords (from delicate and light to crashing full sonorities) while maintaining also, in the upper range, the sustained and tranquil violin part. Aucoin’s straightforward and helpful comments about his own music avoided burying the audience in technical musical babble. At the end he answered questions ranging from basic concerns about how he begins a new composition to more detailed discussion of his processes and goals in setting texts. This proved a particularly useful tack in a discussion with a poet-composer who not only sets his own words but also those of other writers. For music-lovers in the western suburbs, from Wellesley to Worcester and points north and south of the turnpike, it is always welcome to discover a new concert-space that is conveniently accessible. Information about the center’s wide-ranging programs including all kinds of music among other things, can be found at www.natickarts.org. “Crossing” was a highlight of the 2014-15 concert season.